Wanna see what Texas was like, past and present? Come for the culture and unique experiences, but be ready to encounter plenty of remnants of the past. Many of those natural wonders that visitors and residents alike enjoy today took thousands (or millions) of years to form. They include canyons, dinosaur footprints and vistas Mother Nature herself spent years perfecting. 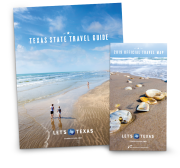 For starters, see exactly how Texas came to take shape by exploring places like the Guadalupe Mountains, Palo Duro Canyon and Canyon Lake Gorge. 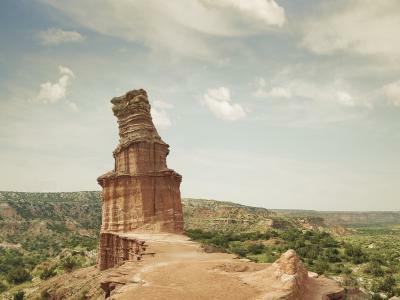 At Palo Duro Canyon, visitors can view the colorful strata created by four different geologic layers formed primarily due to erosion by the Prairie Dog Town Fork of the Red River. A more recent addition to the state’s geologic history, the Hill Country’s 64-acre Canyon Lake Gorge, carved by floodwaters in 2002, has exposed cretaceous limestone, fossils and 110-million-year-old dinosaur footprints. Wait, did we say dinosaurs? We sure did. From the Triassic to the Upper Cretaceous periods, dinosaurs roamed Texas. Fossils of 21 different dinosaurs and footprints have been found across the state. 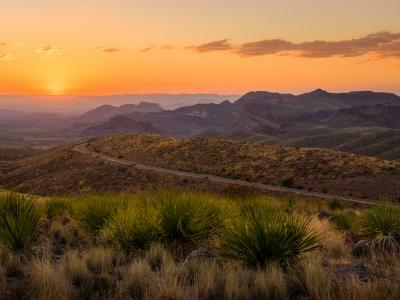 At Big Bend National Park, the Fossil Discovery Exhibit explores that aspect of the park’s history and includes life-size replicas of fossils found within the park. To see more about the creatures that once walked our land, you can head over to Dinosaur Valley State Park near Glen Rose. Here, you can step in huge dinosaur tracks that are preserved in the riverbed. You can also find additional dinosaur tracks at the Heritage Museum of the Texas Hill Country near Canyon Lake. In Seymour, the Whiteside Museum’s location near a Permian bone bed allows it to display discoveries and offer a preparation laboratory where visitors can watch scientists prepare fossils for research. If you want to check out fossils of a different kind, grab your hiking boots and head to Guadalupe Mountains National Park, where you can see an uplifted portion of a fossilized underwater reef from the Permian Period. Miles away at the Permian Basin Petroleum Museum in Midland, a restored 1975 diorama depicts what the reef may have looked like 250 million years ago. Just a mere 60,000 years ago, a mammoth nursery herd may have perished because of flooding along the Bosque River, and further flooding events were believed to have trapped a saber-tooth cat and later a bull and female mammoth. A mammoth bone found in 1978 led to the discovery of the nursery herd and in 2015 the site became known as the Waco Mammoth National Monument. You can learn about the site and even travel down to a lookout over the dig to see the prehistoric discoveries on site.